Embrace the best of the island’s tropical living experience at this three bedroom villa in Ubud, designed to suit the comfort of all guests. This 1 bedroom villa is part of a resort, only minutes from the hustle and bustle of Ubud, the cultural and artistic heart of Bali with hourly shuttle service to/from Ubud centre. 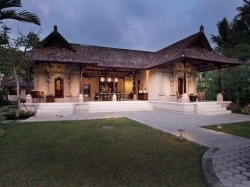 This 2 bedroom villa is located on the edge of a typical Balinese village, 15 minutes north of Ubud. Where Bali has remained Bali. Beautiful nature, lush rice paddies, authentic people, sweet country life. 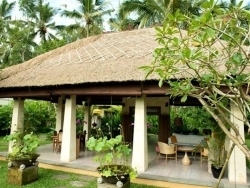 This 1 bedroom villa is located on the edge of a typical Balinese village, 15 minutes north of Ubud. Where Bali has remained Bali. Beautiful nature, lush rice paddies, authentic people, sweet country life. 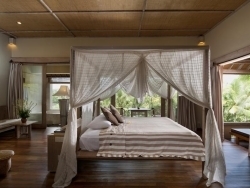 Located on the verdant hillsides of Ubud, this 2 bedroom Villa is part of a Resort & Spa. Overlooking an expanse of gorgeous terraced rice paddies It is a perfect Balinese hideaway for romantic couples, honeymooners and families alike. 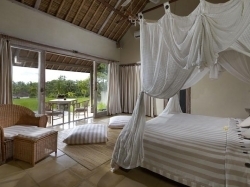 Located on the verdant hillsides of Ubud, this 1 bedroom Villa is part of a Resort & Spa. Overlooking an expanse of gorgeous terraced rice paddies It is a perfect Balinese hideaway for romantic couples, honeymooners and families alike. Only a few minutes’ from the centre of Ubud, the two storey, 3 bedroomed, modern villa set in beautifully landscaped, tranquil surroundings provides the perfect place to enjoy luxury tropical indoor / outdoor living. 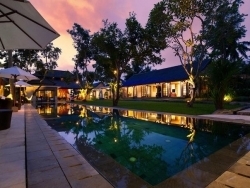 This 4 bedroom private villa and serene oasis in central Bali. Designed as a labour of love, the villa is only minutes from sensational shopping, superb spas, classic cultural performances and luxuriant rice fields. This six bedroom villa is a private and serene oasis in central Bali. Designed as a labour of love, the villa is only minutes from sensational shopping, superb spas, classic cultural performances and luxuriant rice fields. This four-bedroom villa epitomises peace and tranquillity and is the perfect retreat for those seeking a quiet and relaxing holiday within easy reach of Bali’s exotic cultural centre.